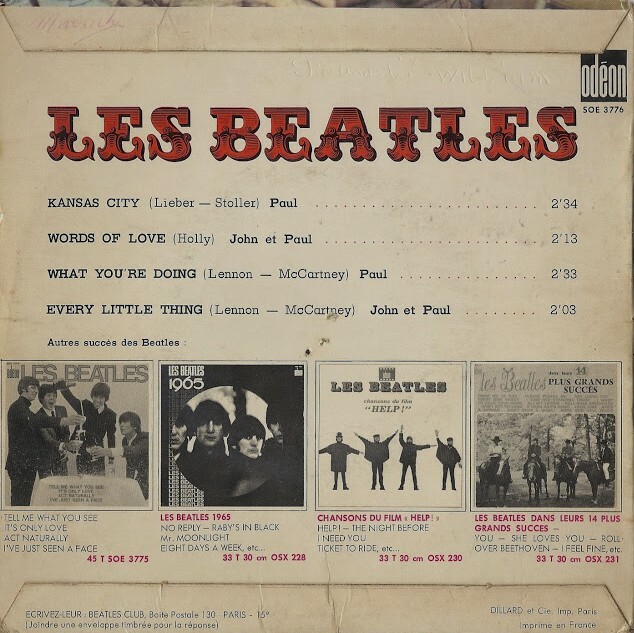 In 1964, The Beatles recorded Little Richard's "Kansas City" (next called "Kansas City/Hey, Hey, Hey, Hey"), a song they began performing in their early Hamburg days. 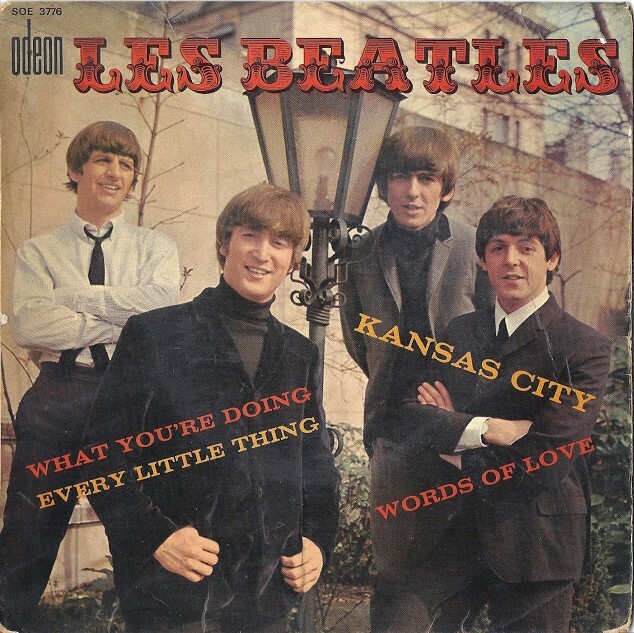 Their version, which uses somewhat different lyrics, appears on the albums Beatles for Sale (UK) and Beatles VI (US) and was the B-side of the October 1965 single "Boys" as part of Capitol Records' Star Line series. Piano on the track was played by George Martin. An alternate take was released on Anthology 1 and a live version, recorded in Hamburg in 1962, was released on Live! at the Star-Club in Hamburg, Germany; 1962. Other live versions appear on the album Live at the BBC and in the film Let It Be. The Beatles were also seen on the American television program Shindig! performing the medley live in October 1964. Hola,muchas gracias por este EP. Muy bueno y raro.